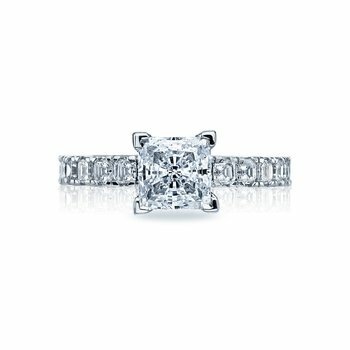 Talk about a big diamond look! 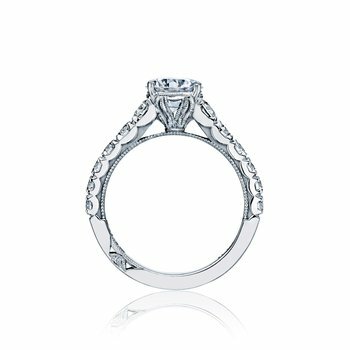 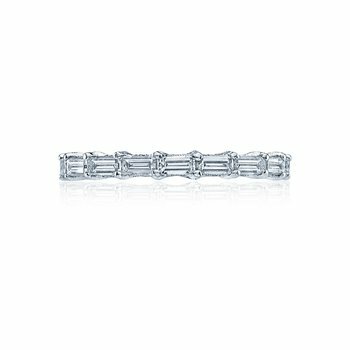 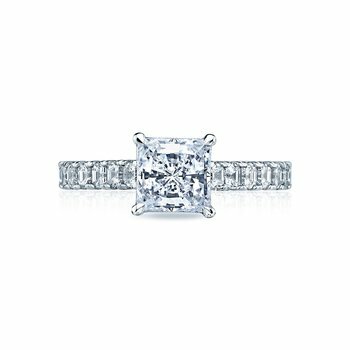 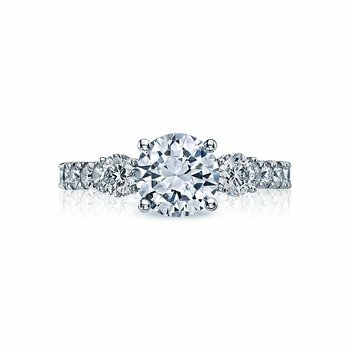 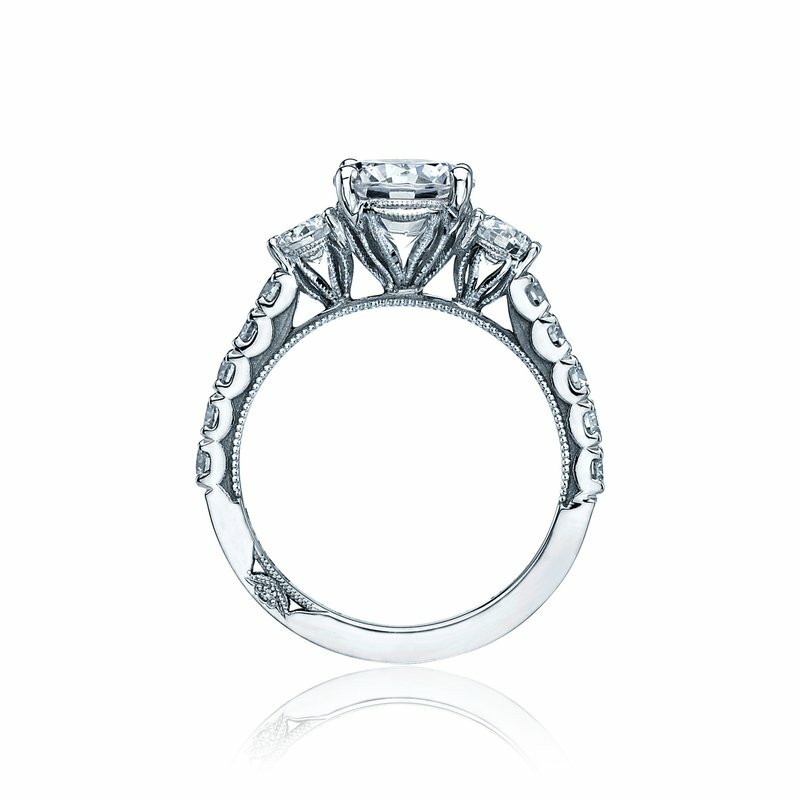 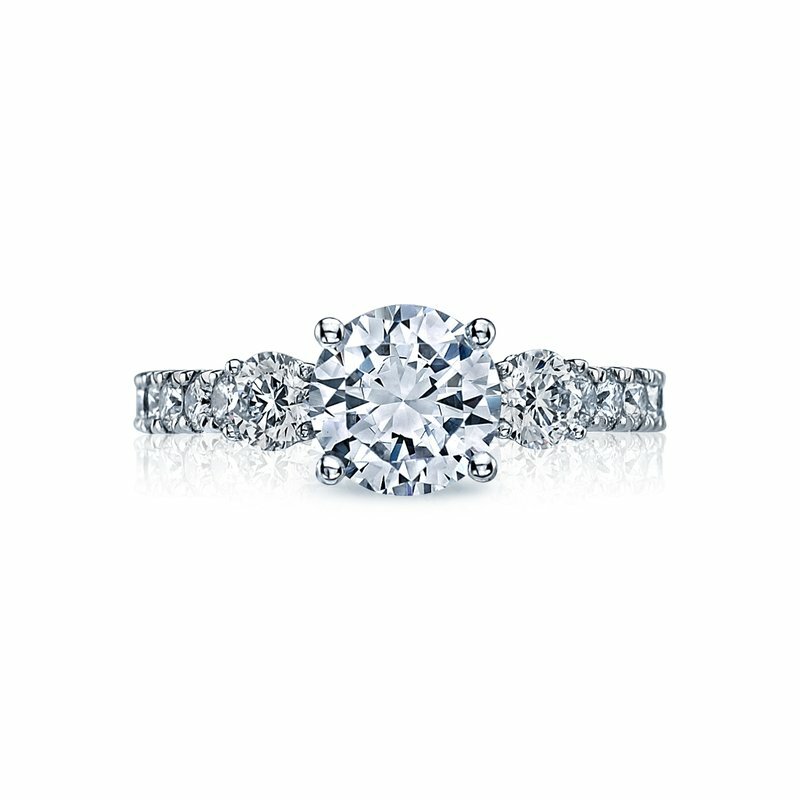 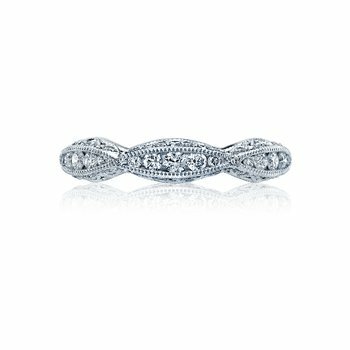 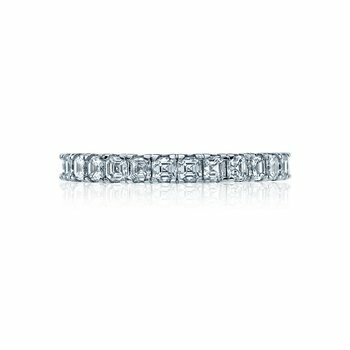 From beginning to end this ring sparkles any way you look at it. 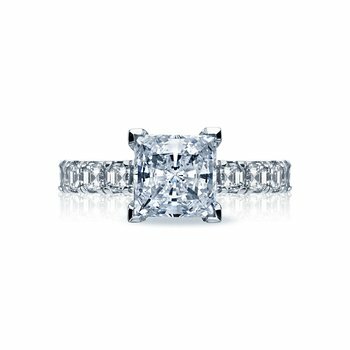 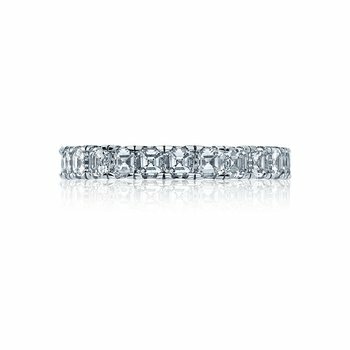 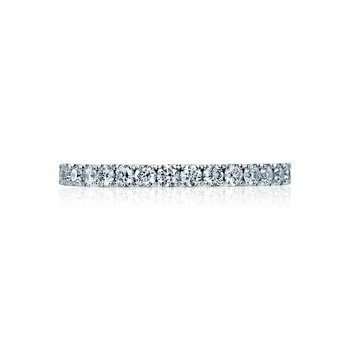 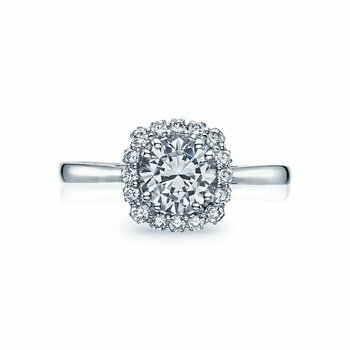 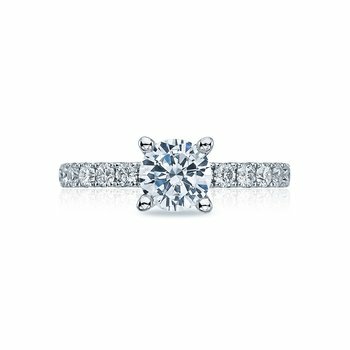 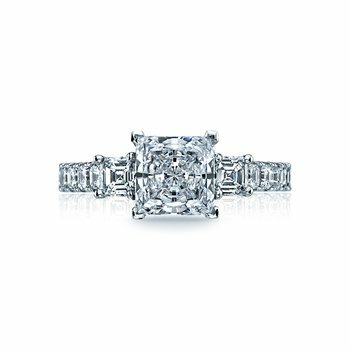 The three brilliant round diamonds seem to never end, from the spectacular round center diamond, followed by two glimmering side diamonds leading you to the diamond encrusted ceiling. 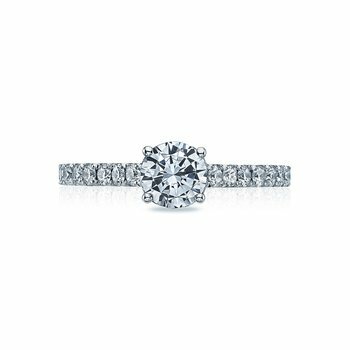 All sealed with the signature Tacori Touch at the resting point.